176 SENECA TRAIL - This is the last phase of Indian Trails. Owners will have full use of Indian Trail's amenities, including Arrow Lake (10 acres), Tilley's Lake (4 acres) and a 2-acre park with picnic tables and barbecue stands. Lots are at least one acre. 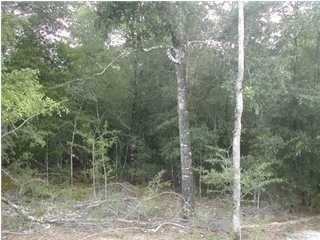 This lot is restricted to a single family home of at least 1,400 square feet. Membership in Indian Trail's homeowner's association is mandatory. Annual dues approx. $90. This property is in the city but has county water. There are some protected wetlands to the rear of this lot, but plenty of build-able land. Acreage is per Okaloosapa.com. Flood insurance is not required; wetlands may be cleared without heavy machinery and used, but no permanent structures are allowed.Builder owned lot and will offer lot discount if owner is builder. Listing courtesy of Teel & Waters Real Estate Co I.